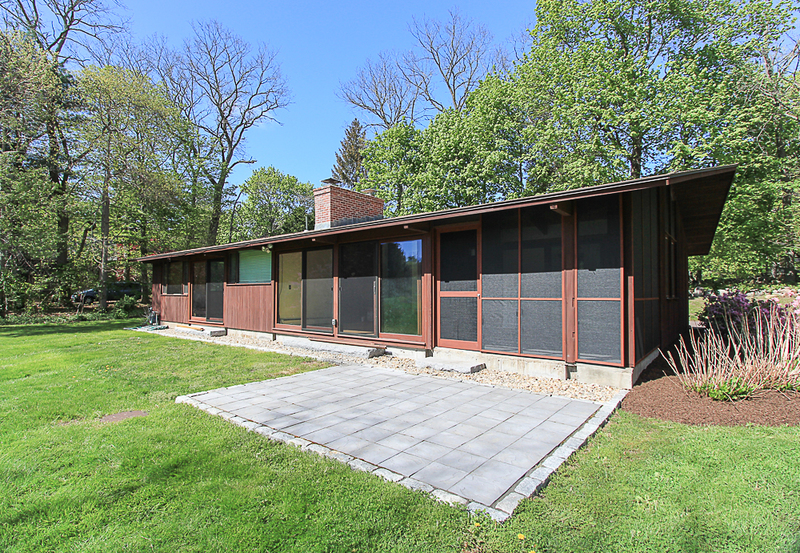 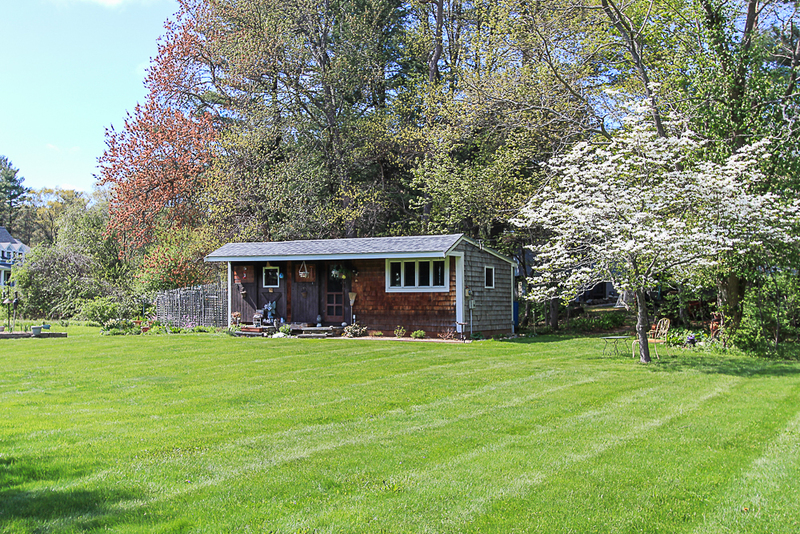 Set on a fantastic 1.49 acre lot in Wenham, Massachusetts. 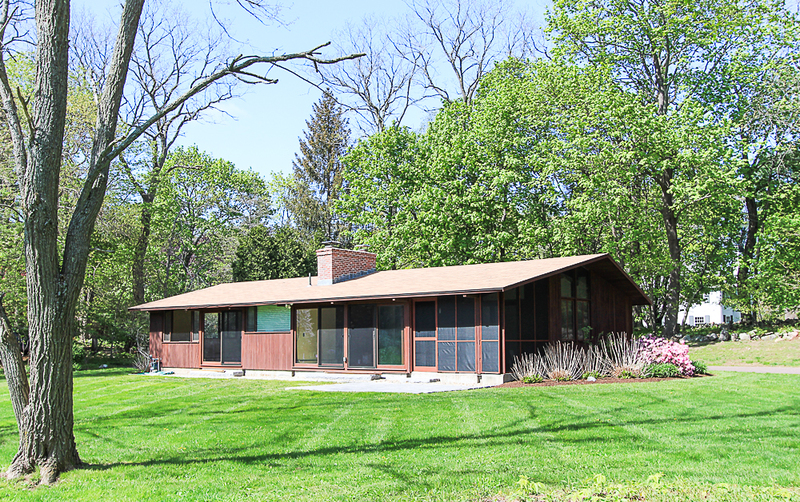 You have to visit, to fully appreciate the rural quality and beauty of the land. 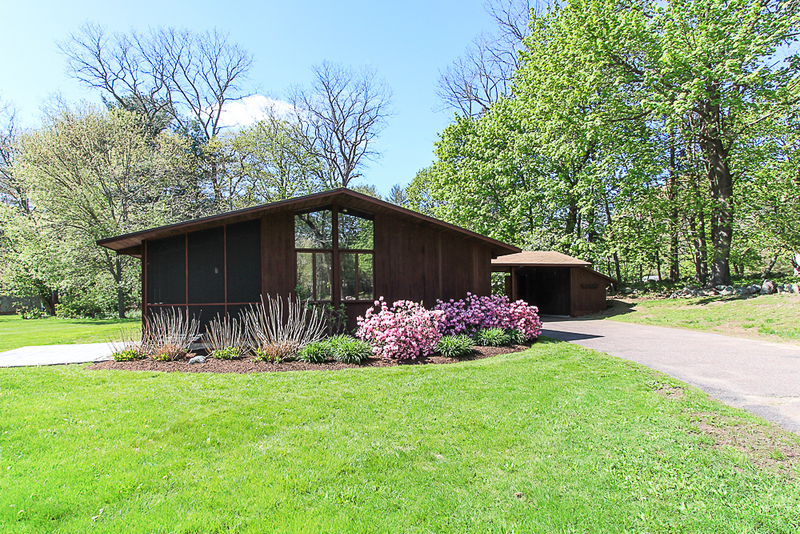 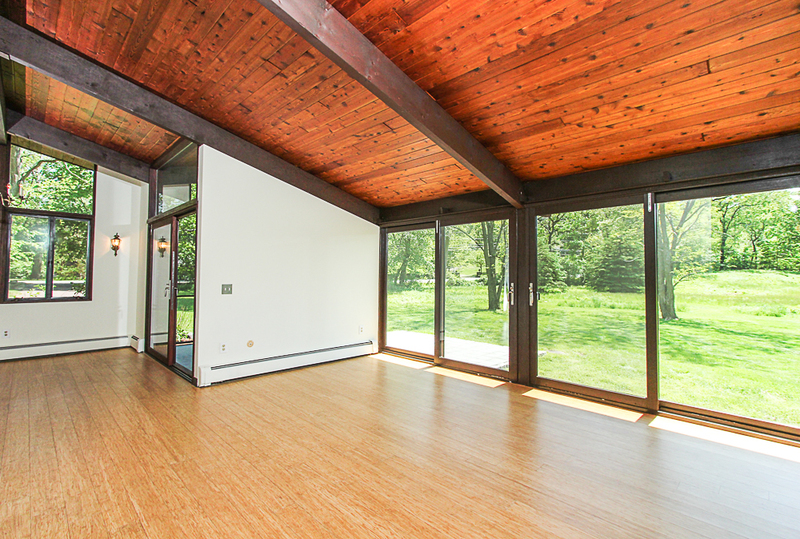 This classic post & beam Deck House was built in1973 with their signature decked ceiling and large glass mahogany framed windows. 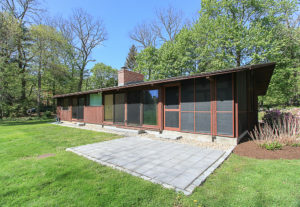 These homes are known for being carefully situated on the land to take advantage of the topography, orientation of the sun, the views, the connection to the land that it sits on, and this home is no exception. 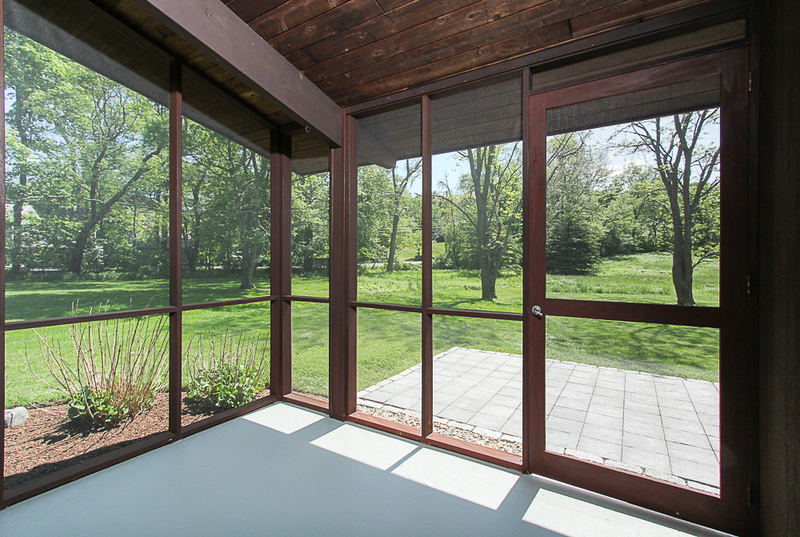 Single level living with large windows and multiple glass sliders are oriented to the southwest side of the house. 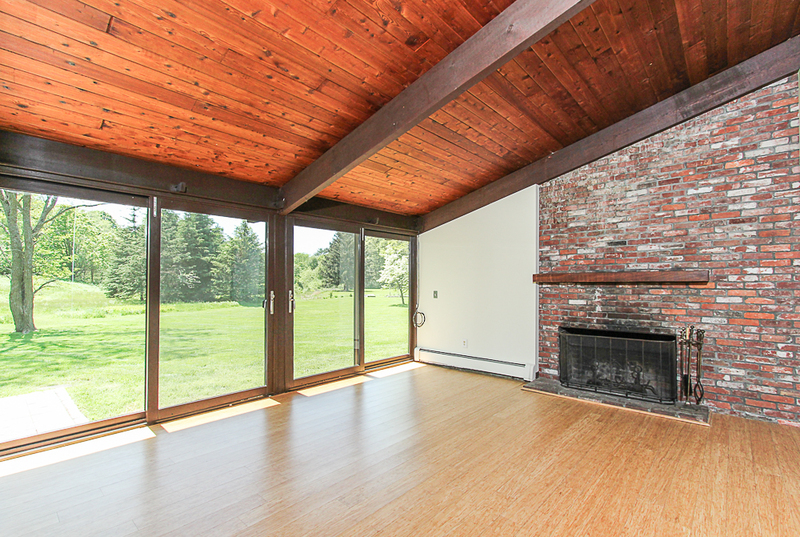 Entry into the house from the covered carport is through a slate tiled foyer that then opens to the spacious living and dining rooms with striking cedar vaulted ceilings. 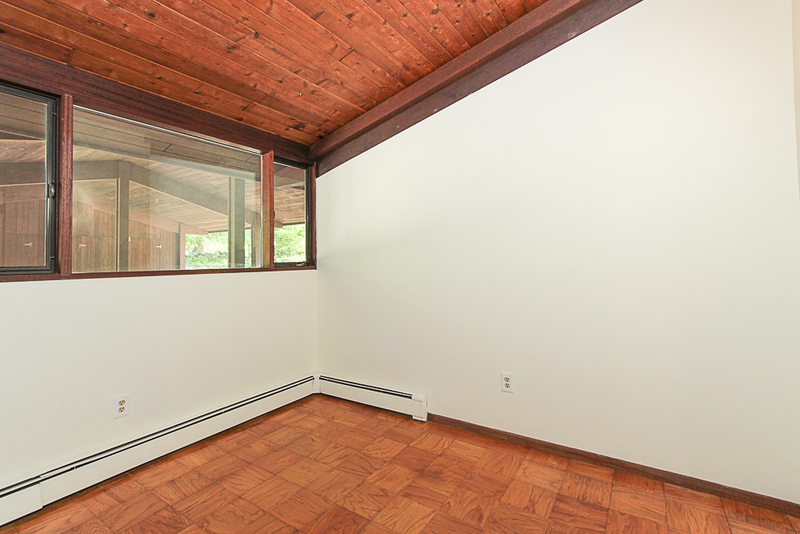 These rooms have an open floor plan, allowing for the light and wood burning fireplace to be enjoyed throughout. 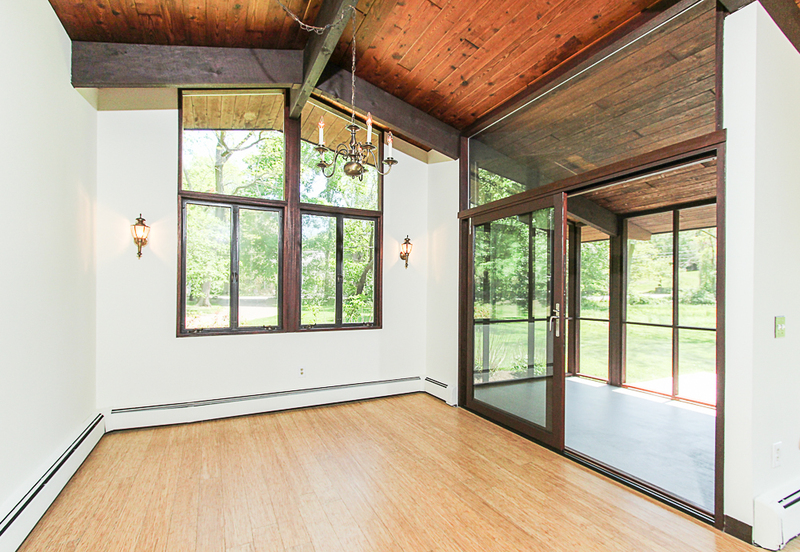 A screened porch on the sunny side of the house leads out to the patio. 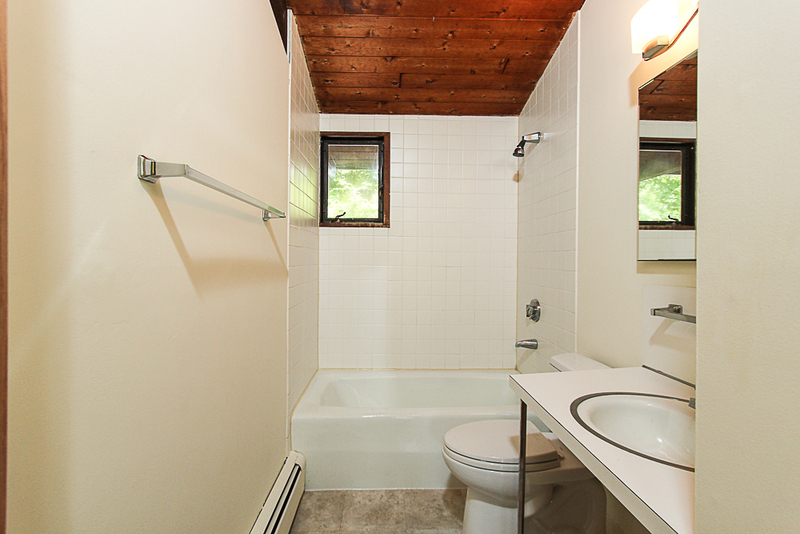 There are three bedrooms and two full baths. 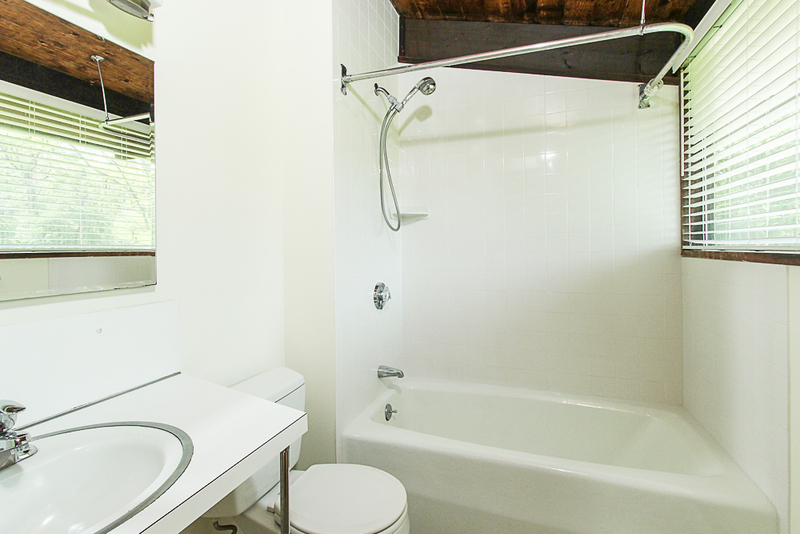 The master has a private bathroom and a slider to the outdoors. 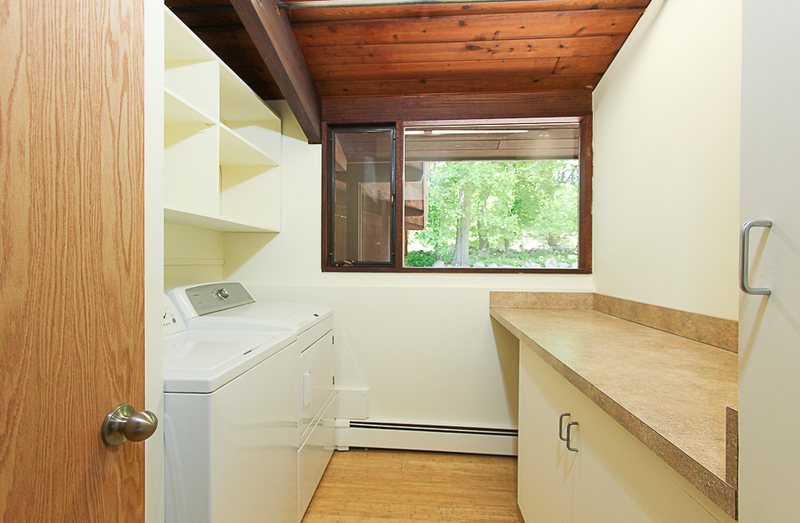 There is a separate laundry room off of the kitchen. 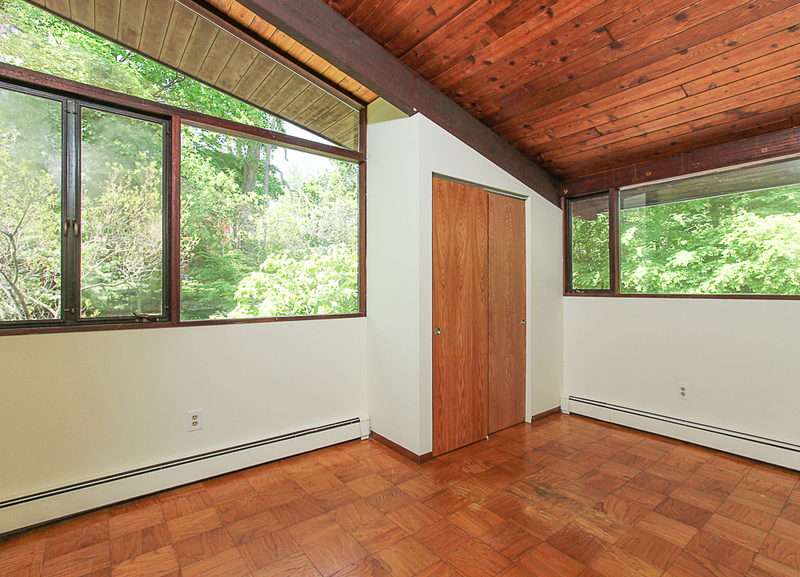 The floors have been updated with bamboo throughout the common space and there are parquet floors in the bedrooms. 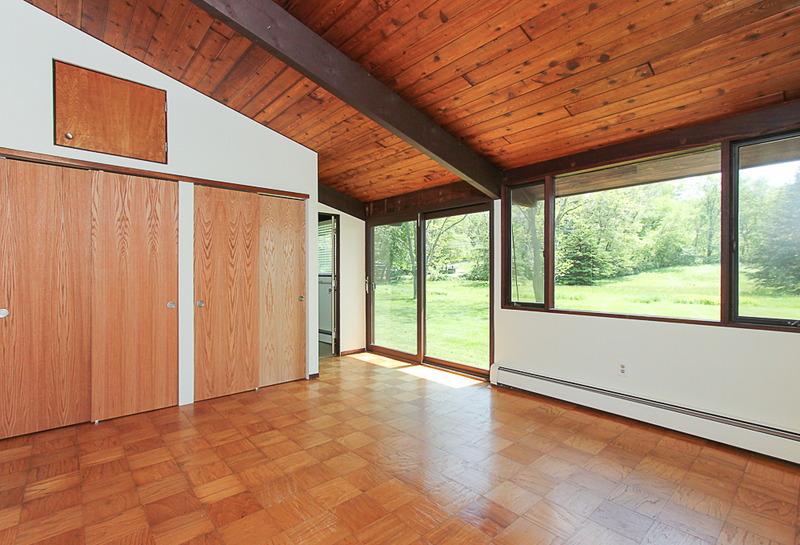 An additional bonus is the separate one bedroom cottage set away from the main house. 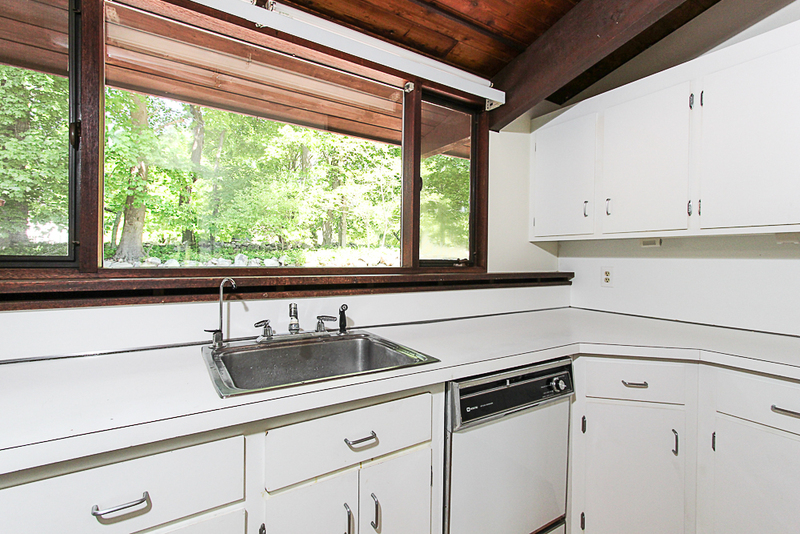 It has a private patio and galley kitchen. 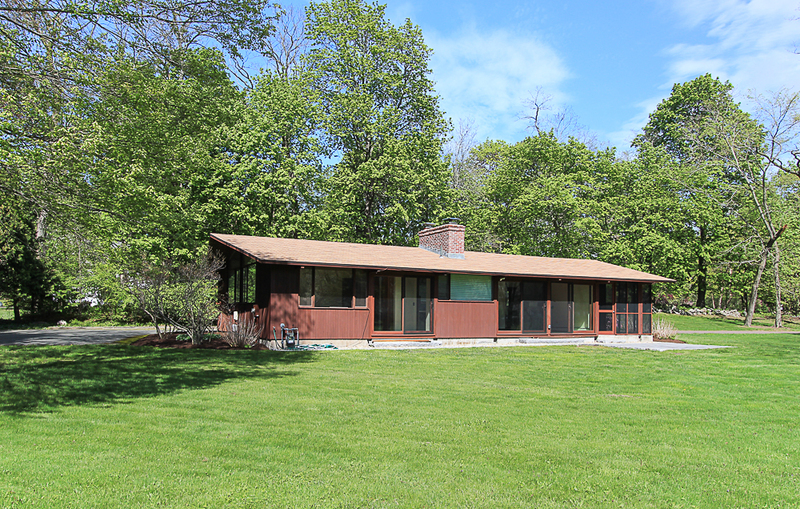 Great North Shore location with easy highway and commuter rail access. 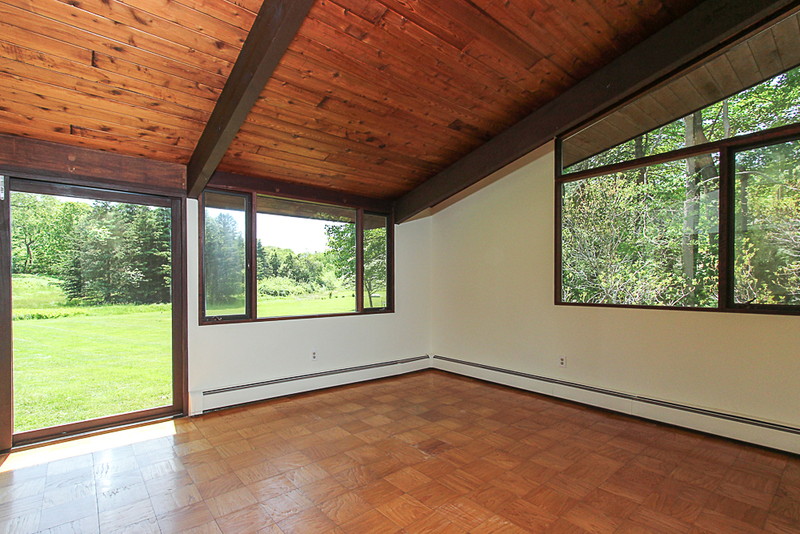 Enjoy living in a bucolic setting, while being so close to the amenities of a more urban location.